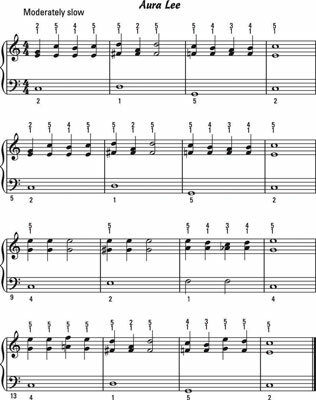 In this song the left hand plays single bass notes while the right hand plays the melody. 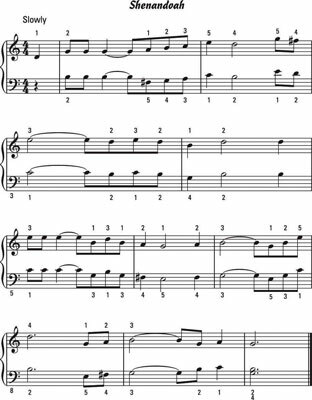 The two parts move in different ways, so if you find it difficult to play at first, be patient and practice each hand separately until you feel comfortable with the notes. Then play hands-together. You can see and hear the harmonizing power of two-note harmony in this song. 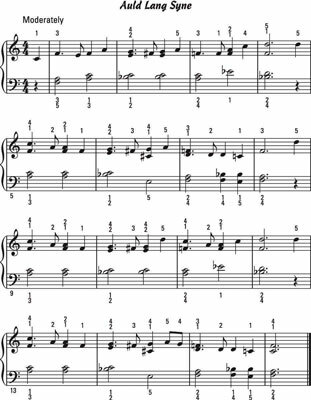 It may be helpful to play the melody, right hand only, along with the track a couple of times. Then try the left-hand part only. When you’re relaxed and confident, put both hands together. 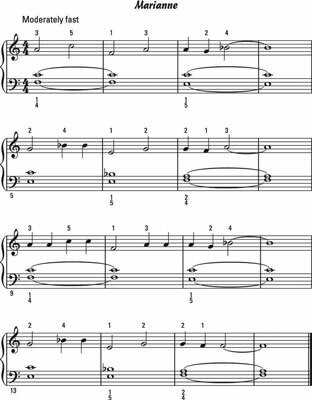 In this piece both hands play the same rhythm, with the left hand mirroring the melody with a soothing harmony line. Listen carefully as you play to match rhythms with both hands, just like two voices singing together. Your left hand isn’t limited to single notes or certain intervals. The composer may give you seconds, fourths, or anything else. 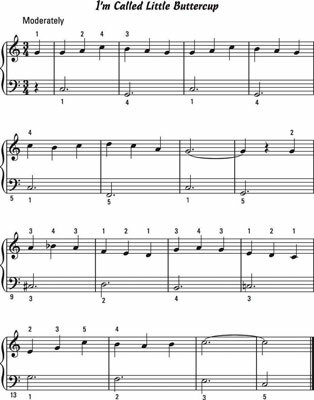 Give both hands a shot at some four-part harmony with this song, which mixes up several types of intervals in both hands. Practice each hand separately before putting the two together.